After reviewing the information available on our website, you may still want to know more about Shell Point. Here are some frequently asked questions about our continuing care retirement community, and the lifestyle with lifecare resources offered to residents. What are the mission and core values of Shell Point? Shell Point Retirement Community, a nonprofit ministry of the Christian and Missionary Alliance Foundation, Inc., is dedicated to the service of God and the care of His people by providing a broad continuum of residential alternatives and services, designed to enhance the independence and dignity of its residents through spiritual, social, recreational, and physical programs. Our core values are at the heart of our culture and philosophy of daily interactions: caring for, serving, and satisfying our residents and employees. How large is Shell Point? Shell Point has (as of April 2016) approximately 2,400 residents who live in 1,274 independent living residences, 357 assisted living apartments, and 219 skilled nursing beds. The size of each home at Shell Point ranges from 470 to 4,158 square feet. I am trying to reach a friend who lives at Shell Point? In an effort to protect the privacy and security of our residents, we do not provide a directory of resident names, nor connect inquiries to individuals through a central switchboard. Our recommendation is to reach out to your friend directly through the contact information you have, or through a family member or other friend who might connect you. Is WiFi accessible throughout the Shell Point campus? Open WiFi is available in many common areas at Shell Point, where residents and guests often gather for events and activities. Accessibility is also being expanded and enhanced through ongoing arrangements with service providers. Visitors to Shell Point are encouraged to make lodging arrangements at our Guest House on The Island. Call (239) 454-2123 or 1-888-789-8846, or e-mail us at GuestHouse@shellpoint.org. Shell Point residents may invite guests to stay with them for short periods, up to 15 days per visit. Residents may not rent their apartment to others if they are not using it. While on our campus, adult supervision of children should be maintained at all times. This is particularly important with the use of recreational facilities and equipment. Do you offer special menus for those with allergies? Many menu options can be cooked to order for special requests. Residents who dine regularly in our assisted living and skilled nursing areas will have meals prepared specifically for their dietary needs (i.e., low sodium, high fiber, or special protein). We can be certain you will enjoy our appealing and tasty cuisine. Is Shell Point a smoke-free campus? We are a smoke-free community, including independent and assisted living apartments, as of October 1, 2015. Residents with contractual agreements dated prior to this date are grandfathered for exemption. How much time does it take to tour the entire property? We encourage you to meet with one of our retirement counselors to customize a tour that fits your interests and time available. You may choose to visit the community multiple times as you are considering Shell Point for your retirement. We recommend allowing 2 1/2 – 3 hours for your first visit, so we can thoroughly answer all your questions and show you everything you would like to see. The Shell Point campus includes approximately 600 acres, although many are protected preserves and wetlands, which enhance the natural beauty of this setting for our residents. With five neighborhoods, each having its own unique personality and amenities, it could take weeks to fully appreciate all that Shell Point has to offer – from the orchid house and butterfly habitat, woodshop, art and pottery studios, to the genealogy lab, Gulf Coast Model Railroad, 18-hole championship golf course, and marina. How many miles of walking/jogging trails are available on the property? Marked trails with safe, paved or raised surfaces border the perimeters of Shell Point's property, around preserves and wetlands, along the Caloosahatchee, and meander among the courts in each of the resident neighborhoods at Shell Point. Shell Point provides free daily transportation around our campus, as well as free transportation during the week to local grocery stores and shopping centers. In addition, for a fee, there is scheduled transportation to offsite doctors' appointments, and a personalized transportation service for other needs. What is Shell Point doing to help protect the environment? Do you recycle? Environmental awareness, conservation of our resources, and recycling reusable goods have always been priorities at Shell Point. It is an important part of our daily operations – supplemented by the energetic and dedicated involvement of many Shell Point residents. Some examples include the "Chiller Plant," which has saved tens of thousands of dollars in energy costs; low-energy and light-emitting diode (LED) lighting (installed across the campus); and energy-saving efforts at the Guest House on The Island were recognized several years ago by the Florida Department of Environmental Protection (DEP), earning accreditation and designation as "Florida Green Lodging." In 2005, the Shell Point Golf Club received certification from the Audubon Cooperative Sanctuary System (ACSS). Audubon International focuses on education and certification regarding preservation efforts to make the most of the natural environment of a golf course, while minimizing any potentially negative influences that the property may have on the environment. The Shell Point Golf Club is certified in two areas of the ACSS: environmental planning and water conservation. What steps are involved in moving to Shell Point? People often learn about Shell Point by searching our website, asking friends who live here what it is like, and attending a free informational presentation and tour of our community. If you are interested in learning even more, a Shell Point retirement counselor can schedule a one-on-one session, taking as much time as necessary for however long is needed to answer all of your questions. Our retirement counselors are knowledgeable about the variety of residences available to meet your needs, all aspects of the lifestyle and lifecare services, contract options, and price ranges – the full diversity of products offered at Shell Point. Once you decide that Shell Point is the ideal place for your retirement, your retirement counselor will request a $4,000 deposit (100% refundable), which puts your name on a waiting list. It will also be helpful to know the timeframe you plan to move to Shell Point. When a residence that meets the type of neighborhood, building, and floor plan you prefer becomes available, we will contact you when your name is next on the waiting list. You may accept or decline that particular residence within two business days. There is no penalty for declining; your place on the waiting list is based on the date you paid your deposit. There is a waiting list for particular residences at Shell Point. 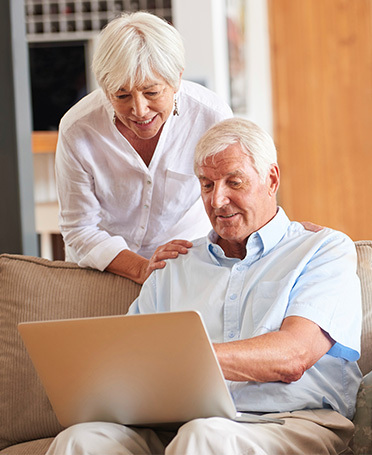 We encourage you to discuss the waiting list process in more detail with a retirement counselor to help you decide on the ideal place to call home. Call (239) 466-1131 or 1-800-780-1131 to schedule a personal appointment. Does moving to Shell Point mean that I will be giving up my home and independence? The reality is that residents at Shell Point gain a new home, new friends, new lifestyle opportunities, and often some new-found independence. Living at Shell Point is maintenance-free! You won't have to mow the grass, clean a pool, repair a roof, fix a leak, replace a dishwasher, or even change a light bulb. More importantly, you won't have to worry about the time, cost, or quality of repair work. This in and of itself gives you more freedom to do the things you enjoy – golfing, walking, reading, taking a class, crafting, and more. While you are enjoying more freedom, you and your family will have the peace of mind knowing that you have a plan in place for your future, in case healthcare is ever needed. Can I keep another home elsewhere? One of the wonderful things about Shell Point is the ability to live here independently and maintain the lifestyle that you choose and are accustomed to living. Some residents wish to maintain a second residence elsewhere. However, they will still pay their Monthly Maintenance Fee year-round at Shell Point, per their contract. Approximately 30% of residents live at Shell Point for only a portion of the year, predominantly during the best-weather "season" from October through May. How easy is it to switch homes at Shell Point? Shell Point has flexible apartment transfer options to fit individual needs. Some residents start in the apartment where they plan to live full time. Others (who may continue living part-time in another home) choose a smaller apartment initially (to keep fees lower and considering that they will not be using the space full time, year round), then possibly, transfer to a different apartment later. Many residents choose to downsize as the years progress, or eventually move to an assisted living apartment. We work with each resident on an individual basis. Is it true that I have to turn over all my assets to Shell Point when I move in? Shell Point has a two-tiered financial structure – a one-time Entrance Fee, and an ongoing Monthly Maintenance Fee, which are both dependent on the size and style of the residence chosen. Your retirement counselor can explain the financial qualifications, including estimating ongoing personal living expenses. Otherwise, you retain your own assets. What happens if I run out of money during my retirement after I move to Shell Point? One of the intangible benefits of coming to Shell Point (besides the lifecare component) is the fact that if you deplete the funds necessary to continue living at Shell Point, through no fault of your own, there is a formal subsidy program, as well as a resident benevolent fund (Friendship Fund), that will be available to support you. Restrictions may apply. What kind of parking is available for residents? Can residents have both a car and a golf cart on campus? Parking spaces are assigned for residents in a manner that is fair and sensible, representing the interests of each individual but guided by the greater good of the community. Allocation for a car (or cars) and a golf cart will depend on the neighborhood/court where the resident lives, assuming the vehicles are regularly driven by the resident. A car parking space is no longer made available for a resident who is not capable of legally driving a personally owned automobile due to forfeiture of a valid driver's license. Additional automobiles, boat trailer, or RV must be secured off property at the owner's expense. A limited number of parking spaces are designated for guests. Does Shell Point make arrangements for its residents should a hurricane threaten the area? Residents who may need to shelter at Shell Point in the event of evacuation during a major storm can register for space in our onsite hurricane shelter. In consultation with Lee County Emergency Management and a professional meteorologist, the Shell Point Hurricane Management Team will rely on various means of communication to promptly inform residents and employees of all decisions and actions in the event of a weather-related emergency. What are the qualifications to live at Shell Point? How much does it cost? 1. Age – Shell Point pricing is set for people aged 60 and older. If someone is under 60, there is a premium set for each year the individual is under the age of 60. 2. Financial – Shell Point uses the formula of 2.25 times the Monthly Maintenance Fee in income, and a surplus of at least $75,000 (for a single individual), or $100,000 (for a couple) in assets, after the Entrance Fee has been paid. Example: Using the Monthly Maintenance Fee associated with the residence (if you have a spouse, be sure to add in the second person fee) and multiply this amount by 2.25. For example, if the Monthly Maintenance Fee is $2,000, multiply $2,000 by 2.25 = $4,500. This estimate indicates that you should have approximately $4,500 in monthly income (before taxes) as an individual to qualify for that particular residence. The extra "cushion" factored into that estimated amount is for items such as food, supplemental health insurance, miscellaneous medical expenses and medications, auto insurance, clothing, gifts, travel, etc. Shell Point prefers that you not have to change your current lifestyle to afford to live in our community. 3. Health – Our standard for admission to independent living is that each individual be able to live safely and self-sufficiently. Shell Point also requires documentation of a complete physical by your own physician, or one of our Shell Point physicians. Do we have to wait until we're both 60 to move in? While the minimum age to live at Shell Point is 60, you or your spouse, or both of you, can move to Shell Point under the age of 60 by paying a premium – 5% of the Entrance Fee for each year you are under the age of 60 (not to exceed $10,000 per year). This premium is paid one time only. The Monthly Maintenance Fee remains the same regardless of your age. We are seeing more people making the move to Shell Point while in their 60s or earlier to take advantage of today's rates to purchase tomorrow's lifecare. They can enjoy the lifestyle they have paid for longer, giving themselves and their families security and peace of mind. What is the average age of residents at Shell Point? As of January 2016, Shell Point residents ranged in age from 55 to 105, with the average entrant being 74. Do you have to be a member of the Christian and Missionary Alliance congregation to be a Shell Point resident? Shell Point is intended to be a community where retired people can live together in peace and harmony with a spirit of cooperative goodwill and Christian neighborliness. Individuals from a wide variety of religious beliefs are residents at Shell Point. While Shell Point is a nonprofit ministry of the Christian and Missionary Alliance Foundation, Inc., we operate faithfully and sensitively in accordance with the constitutional right afforded to our organization as a legally established, Christian-based entity to preserve our essence, culture, and fundamental principles. We are proud to share that the Christian and Missionary Alliance (C&MA) is a global movement with more than 125 years of ministry in more than 80 countries. The local congregation invites new members to discover forgiveness, purpose, and hope. The Village Church, associated with C&MA, is situated at the heart of Shell Point's Island neighborhood. The congregation affirms the essentials of historic, orthodox, and evangelical Christianity, providing a rich and varied ministry. Preaching and teaching ministries are characterized by clear exposition of the Bible; small groups encourage fellowship and strong prayer support. The Village Church Auditorium serves an important role in gathering Shell Point residents and the church congregation for educational, entertainment, and spiritual events. Does Shell Point offer discounts to Christian and Missionary Alliance members or former missionaries? Official C&MA workers over 60 years of age with 20 or more years of service, who meet certain financial requirements, are eligible to purchase a lifecare contract at Shell Point at a 25% discount from published rates on both the Entrance Fee and Monthly Maintenance Fee. In addition to all of the Shell Point amenities and services, the contract includes assisted living at the same Monthly Maintenance Fee, as well as 30 days of skilled nursing care per year, per apartment (whether for an individual or collectively for a couple). The Shell Point pet policy includes parameters for the good of the entire community. A few rules apply – one dog or cat per residence is permitted; dogs must weigh 20 pounds or less (except in The Estuary neighborhood, where they may be up to 55 pounds; any size pet is welcome in Shell Point homes in the Palm Acres neighborhood). Additionally, Shell Point offers a dog park for socializing. Please ask to review our complete pet policy for all the guidelines, including registration requirements and guests visiting with pets. Once I move to Shell Point, do I still need health insurance? Does my current health insurance apply at Shell Point? You will need to keep your Medicare Part A and B, as well as your current supplemental insurance. Healthcare services at Shell Point are designed to meet the unique needs of senior adults, with onsite access to a comprehensive array of wellness and medical amenities. The Shell Point lifecare contract covers a diversity of services providing a continuum of care, including independent living, assisted living, and skilled nursing care, as needed. These healthcare services are covered generally by Medicare for our retirement-age residents, who are encouraged to investigate supplemental insurance as their medical needs dictate. We offer individual counseling to assess whether particular insurance plans and pharmacy programs cover the kinds of expenses you might anticipate for your condition. Billing is conveniently processed by Shell Point staff. Am I obligated to use Shell Point physicians/clinicians? You may use any medical professionals you choose. As a convenience, Shell Point has contracted with a comprehensive array of specialty consultants to work with patients directly on our campus at our state-of-the-art medical centers. This affords residents the unique opportunity to receive even the most specialized care without the need to leave the community. While it is rare for most retirement communities to have a single onsite staff physician, Shell Point has a medical team of six physicians along with four nurse practitioners who work exclusively with residents. These compassionate healthcare professionals are specially trained to treat geriatric patients, and have the opportunity to spend quality time with each individual to get a complete understanding of his/her unique situation. What are the primary benefits of lifecare at Shell Point? The Entrance Fee covering lifecare at Shell Point guarantees access to assisted living when needed, and long term care for life, whether you are a single individual or husband and wife. If married, in our experience, it is rare for both spouses to remain equally healthy for an equally long period. Lifecare provides a safety net of services that allows the couple to be together, while either one receives the care he or she needs. This also alleviates one spouse from having to provide non-stop care for the other. Should one spouse predecease the other, it's comforting to know the remaining spouse's future care is certain. What happens if my spouse needs a different level of care than I do? If you and/or your spouse's quality of life would benefit from the resources available in assisted living, a move to assisted living can be made together as a couple, or with one staying in the current independent living residence while the other moves into assisted living. A case manager will assist you with this transition. If you or your spouse needs short-term or long term care in a skilled nursing facility, depending on the terms of your contract, the other may remain in the existing independent living or assisted living residence. If I move to assisted living, does my cost change? A lifecare resident (on an A or B contract) who moves to assisted living has the option of choosing among several facilities at Shell Point, in an apartment type determined by your lifecare contract. The Monthly Maintenance Fee would remain the same as the original residence. However, residents in assisted living would be required to pay for three meals per day. What if I need a higher level of care and there isn't a place for me? Shell Point is diligent about anticipating and managing the needs of residents transitioning from independent living to assisted living or skilled nursing care, and will arrange these living accommodations for you, per your contract. In addition, Shell Point Home Care is also available to assist with resident care 24/7 as needed. For skilled nursing care, are the rooms private or semi-private? Accommodations for skilled nursing care depend on a variety of factors, including the purpose and the length of time you need care, your individual lifecare contract with Shell Point, and availability of space. Shell Point has both private and semi-private rooms within the higher levels of care. How does my long term care policy apply at Shell Point? Long term care policy terms and premiums vary. Please share your policy with your retirement counselor, who will consult with other Shell Point experts to discuss the specifics about your plan and determine how your plan will work at Shell Point. How much does it cost to live at Shell Point? Do fees vary with different apartments? Living at Shell Point is funded by two fees — a one-time, up-front fee, referred to as an Entrance Fee, which covers your lifecare services; and a recurring Monthly Maintenance Fee for ongoing use of your residence as well as monthly services. The Entrance Fee is based on the size, type, and location of the residence, as well as the contract you choose. Each apartment category has a range of Entrance Fees, as shown on the published price sheet. The Monthly Maintenance Fee is specific to the residence type. Currently, Entrance Fees range from $96,900 to $1,228,000; Monthly Maintenance Fees range from $1,248 to $5,351. All pricing information can be found at www.shellpoint.org/pricing/. How does the fee apply for my spouse? A second person's fee for a specific residence within the "A" and "C" contracts are calculated as follows: $13,000 added to the Entrance Fee, plus $700 (amount effective July 1, 2016) added to the Monthly Maintenance Fee, depending on the residence and contract selected. For the "B" contract, the added Entrance Fee and Monthly Maintenance Fees are 15% less than the amount added for spouses with "A" and "C" contracts. Can we move into a different apartment later? What are the cost and implications? Shell Point does not include taxes in the Monthly Maintenance Fee, while most not-for-profit retirement communities do. Rather than absorbing this amount in the Monthly Maintenance Fee, Shell Point makes this tax a separate line item to be paid annually. The tax referenced is called an "ad valorem" tax (a Latin term meaning "in addition to"), and is based on real estate. For example, even though Shell Point is a nonprofit organization, we pay a property tax to Lee County. In turn, each resident pays a portion of that tax based on the age and size of his/her residence. Florida residents may claim a Homestead exemption for a portion of this value. Does the Monthly Maintenance Fee ever increase? If so, how much and how often? The Monthly Maintenance Fee at Shell Point may change annually. The average increase over the last 10 years was approximately 2%. Can I get a medical deduction on my income taxes? Yes, the IRS recognizes that one of the many reasons you are choosing to move to Shell Point is to provide for your future medical care. Therefore, they allow a one-time deduction of a percentage of the Entrance Fee in the year it is paid (for an "A" contract, the deduction is usually between 30-40% of the total Entrance Fee), and also a deduction every year for a percentage of your Monthly Maintenance Fees. This percentage is calculated every year by Shell Point and provided to residents with a statement of amounts paid in that year, to determine the appropriate amount to deduct on their income taxes as a medical expense. Is there a refund if you choose to leave, or if you change your mind? The answer is based on the contract type chosen. With the "A" and "B" contracts, the initial Entrance Fee is refundable subject to two discounts: a 4% administrative fee is initially applied; this is coupled with a cumulative discount of 2% per month of occupancy. Another way to interpret this is that the Entrance Fee on "A" and "B" contracts is refundable on a pro-rated basis over 48 months. On the 48th month, the Entrance Fee is completely used, and there is no refund. For the "A – 75% Refundable" contract, the initial Entrance Fee is refundable after a 2% administrative fee is deducted, as well as deducting 1% per month of occupancy until the 75% level is attained. Another way to interpret this is that, after 23 months of occupancy, 75% of the Entrance Fee will be refunded upon cancellation of the contract. If you elect the "C" contract, the Entrance Fee is 100% refundable upon resale of your residence by Shell Point. In the case of a couple, either spouse has the ability to cancel the contract. The Monthly Maintenance Fee is used for ongoing expenses, and no portion is refundable for any contract type or residence type, regardless of when you leave or change your mind. In the event of an unexpected, early death, is a refund available? With an "A" and "B" contract, there is no refund of the Entrance Fee in the event of unexpected, early death. For the "A – 75% Refundable" contract, when the last person on the contract passes away, Shell Point will issue to the estate a refund of 75% of the Entrance Fee, plus any unamortized amount remaining. With the "C" contract, a 100% refund is available upon death (or upon resale of the residence by Shell Point if you choose to leave for any reason; in the case of a couple, either spouse has the ability to cancel the contract). The Monthly Maintenance Fee is used for ongoing expenses, and no portion is refundable for any contract type or residence type, regardless of when death occurs or if you decide to cancel your contract. Does my family get my residence when I die? Your family does not "inherit" your residence or contract if you pass away. When you come live at Shell Point, you are purchasing a contract of lifecare with Shell Point. Therefore, there is no equity from your residence to leave to family members. However, with the benefits of lifecare, your family will also not be required to pay for any of the costs of assisted living or skilled nursing care for you and your spouse, based on your contract. Do I own my residence, or is it like renting? Shell Point residents do not own their residence in the typical real estate manner. Residents live in their home at Shell Point, paying the Monthly Maintenance Fee to cover a variety of services and lifestyle amenities. What services are included in the Monthly Maintenance Fee? There are so many things included in the Monthly Maintenance Fee that it is easier to describe what is not included. The Monthly Maintenance Fee includes all utilities (including cable TV), except for your phone bill or internet service. It also covers lawn maintenance and pest control, weekly housekeeping and various household maintenance needs, as well as boat dockage, if needed. No meals are included in the Monthly Maintenance Fee, although a discounted meal plan may be purchased separately. Many educational programs and hobbies are fully included, however some activities, such as golf, concerts, and special events, require an additional charge. Are meals included in the Monthly Maintenance Fee? Currently, no meals are included in the Monthly Maintenance Fee. However, a discounted meal plan is available for Shell Point residents at the six restaurants located on the Shell Point campus (which are also open to the public). The Resident Dining Plan does not have an expiration date, and provides residents with a discount of 15% off the published prices at these restaurants. Resident Dining Discount Plans are now available! This unique program allows residents the opportunity to purchase meals at up to a 25% discount, with the flexibility to use it at all Shell Point dining venues.